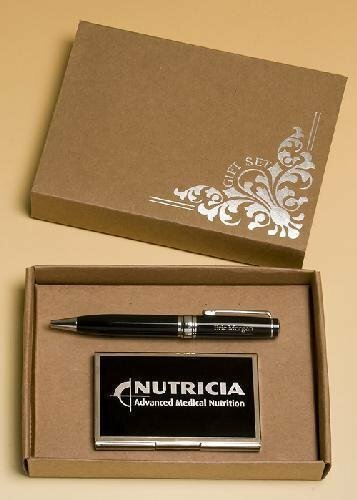 Chrome plated pen and business card case with black accents. Laser engravable. Eco-friendly unbleached packaging.